How would the West react in a worst case-scenario of new escalation in the ongoing war in Eastern Ukraine? What will Brussels and Washington do in case Russia continues to expand into Ukraine? Often various military options, e.g. the delivery defensive weapons to the Ukrainian army, are discussed. What is sometimes forgotten is that the West is still the, by far, largest trading and investment partner of Russia. Its current sanctions only limit the export of a limited amount of services and technology to Russia. They leave much of the current Russian-Western economic interaction intact, and do not touch directly the EU’s large energy imports from Russia. The, by far, biggest issue is here crude oil – and not natural gas, as some assume. Approximately, 40% of the Russian state budget consists of revenues related to the sale and export of crude oil. While Russian and Western, private and governmental estimates vary, according to most accounts, the share of income from natural gas exports in the Russian state’s revenues is less than 10%. Moreover, the large private income generated from oil exploration, excavation and transportation makes up a large part of Russian industry, and is important for the functioning of Russia’s economy as a whole. Most of the oil exports go via pipelines to the European Union. Russia has an only relatively small tanker fleet. On the one side, unlike another sanction also sometimes discussed, Russia’s exclusion from the SWIFT payment system, an EU oil embargo would touch upon a physical issue not easily solvable for the Kremlin. While Moscow may have already a plan B in store, in case Russian companies cannot use SWIFT anymore, its oil trade routes cannot be redirected overnight as they largely rely on pipelines to the West. On the other side, the EU is not as dependent on Russian oil as many assume. Being fungible, crude oil from Russia could be replaced with oil delivered via tankers and other outlets from other regions of the world. To be sure, Russia would start to search and be able to find ways to export its oil elsewhere. Yet, at least for a considerable transition period, Moscow would encounter enormous logistic, infrastructural, legal and financial challenges delivering its oil to customers in other world regions. While a small number of EU installations are reliant on Siberian crude delivered via pipelines, the EU economy as a whole is not dependent on Russian oil imports that can be replaced with other exporters. After Egypt’s recent expansion of the Suez Canal, the Gulf states could replace Russia more easily than that would have been possible until recently. To be sure, the EU's financial losses would be not insignificant, as a part of its refining industry is geared towards large raw material deliveries from Russia. Yet, the EU should be able to limit these losses, by way of targeted support for those EU member countries and oil refineries that would lose most from new sanctions. While the EU would have to compensate a number of Western companies and incur losses, a temporary Russian oil imports embargo would send a powerful signal to Moscow and demonstrate Russia's dependency on EU cooperation. Moreover, the US Congress could coordinate its own reaction to new Russian expansionism with Brussels’s. Washington could support the European sanctions by simultaneously lifting its oil export ban for as long as the EU sanctions are in place. US oil on the world market would both, ease the burden of the embargo on the EU, and complicate Russia’s substitution of its current large European market with other importers, in Asia or elsewhere. To be sure, it would need considerable political will in the EU institutions and capitals to push through such a major European economic policy shift. Probably, it will thus only be discussed in case of a major new escalation in Eastern Ukraine. The threat that further Russian military advances in Ukraine would pose to the EU’s security could, however, enormous. For instance, Europe’s largest nuclear power plant is located in the South-East Ukrainian region Zaporizhiya. This is only approx. 250 km away from the current combat zone and in the heart of – what Russian nationalists like to call – Novorossiia (New Russia). Moreover, should the Ukrainian state collapse as a result of Russia’s hybrid war in the Donets Basin, the EU could face an influx of millions of refugees from Ukraine. In view of such prospects, joint action by the EU member states to impose a Russian oil import ban would become feasible. Temporarily, it is true, the Russian state could use its two reserve budgets and considerable gold reserves to compensate for immediate income losses. During a short transitory period, the Kremlin may still have some freedom of action. It would try to undermine EU unity or/and could employ even more military force against such countries as Ukraine, Georgia and Moldova. Briefly, escalation of violence could thus actually increase, before Moscow would be forced to seek accommodation with the West. 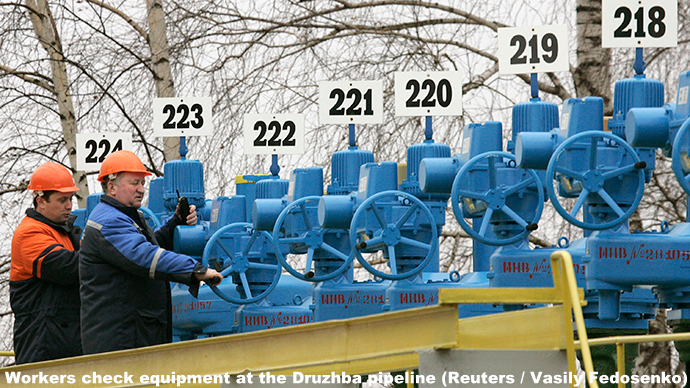 Some analysts point to the counter-pressure potential that the Kremlin has with regard to Russia’s large exports of natural gas to the EU. They argue that the Kremlin could exploit the EU’s considerable reliance on Russian gas to respond with its own sanctions. Yet, exporting large volumes of gas is technologically even more complicated than trading oil overseas. The large East European gas pipeline system creates interdependence between the ex- and importers, rather than one-sided European dependence on Russia. Gazprom relies on the EU market as much as the EU on Gazprom deliveries. While the EU would be hit hard by a Russian gas export ban, Gazprom would not be able to deliver even remotely equivalent amounts of gas elsewhere, in the world. In case of a Western-Russian trade war, the Russian economy would already be in turmoil as it would suddenly lack the large private and public revenues from oil exports to the EU. It is thus implausible to assume that Russia could, in such an already stressful situation, also forego its income from gas exports to the EU. Against the background of such mutual complications, it is surprising how frequently EU-Russia gas (rather than oil) trade is discussed in Western mass media. One could even speculate whether Europe’s weekly exchange of pseudo-arguments about Europe's allegedly one-sided dependency on Russian gas deliveries is artificially induced. It may be simply a sort of neo-Soviet psy-op to distract EU decision-makers from their economic leverage regarding Siberian oil imports. The EU would have to get its act together to make an oil embargo work. That would cost money, energy and nerves. At the moment, such a measure looks prohibitively expensive and political unfeasible, if not altogether fantastic. Yet, the implications of a creation of “New Russia” in South-Eastern Ukraine could be nothing less than a major war between Europe's two largest countries going beyond the almost daily skirmishes of 2014-2015. The probable implosion of the Ukrainian state, as a result of such a war, would mean hundreds of thousands, if not millions of refugees heading towards the EU. It could place, at least, the two East Ukrainian of Ukraine’s four nuclear power plants in instable or even war zones. A new, larger Russian-Ukrainian war would have further, not fully foreseeable repercussions in- and outside Ukraine. In view of such grim prospects, the West would have to make sure its response matches the Russian challenge. A temporary EU embargo on Russian oil imports, combined with a lift on US oil exports, could be decisive instruments to contain Kremlin adventurism. Some ideas in this article have been published before on the website of the Atlantic Council of the U.S., and are informed by a number of German-language publications by Dr. Roland Goetz (Free University of Berlin), as well as a recent English-language discussion of a draft for this proposal by the experts community of Wikistrat. My thanks go to all of these discussant. Remaining misjudgments are mine. Andreas Umland, Dr. phil., Ph. D., is Senior Research Fellow at the Institute for Euro-Atlantic Cooperation at Kyiv, und General Editor of the book series “Soviet and Post-Soviet Politics and Society” published by ibidem Press at Stuttgart, and distributed, outside Europe, by Columbia University Press.